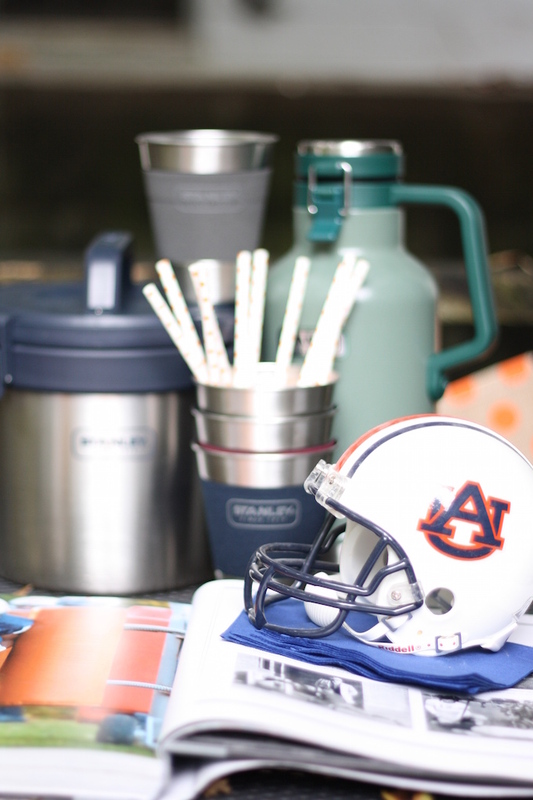 This fall, we're spending several weekends tailgating with friends and family in Auburn. While my school didn't have a college team, my husband's family is die-hard Auburn fans. In fact, my brother in law played for the team as did many of his friends, and Hunter along with his mom attended the university. It was pretty much a requirement that I adopt orange and navy when I married into the family. Over the past eight years, I've seen my share of many Auburn tailgates, and while I sometimes complain about schlepping food and decor from the parking lot to our tent, I have to say, I really enjoy tailgating season...and the food, the glorious tailgating food! 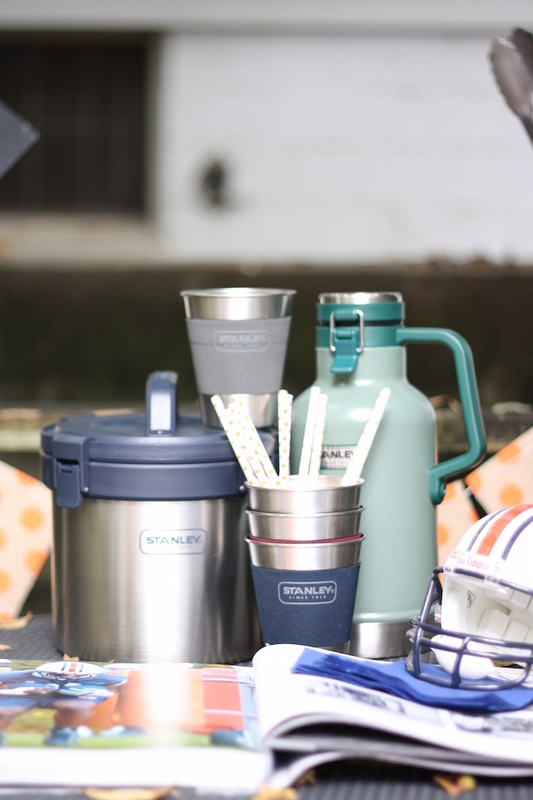 Luckily, tailgating just got a whole lot easier with Stanley brand and their latest celebration essentials. Stanley Brand's Vacuum Seal Growler promises to keep beer cold for sixteen hours. SIXTEEN HOURS, y'all! This handy stainless steel container saves cooler space for other items all while keeping your beverage of choice chilled well into the afternoon. Pour the chilled libation into Stanley Brand's Steel Tumblers, and you're set. I also can't get enough of the Stanley Brand Adventure Vacuum Crock. The leakproof lid prevents spills all while keeping food hot for 12 hours and cool for 16. Can you say buffalo dip? I see a ton of delicious southern tailgate delicacies in this container's future. 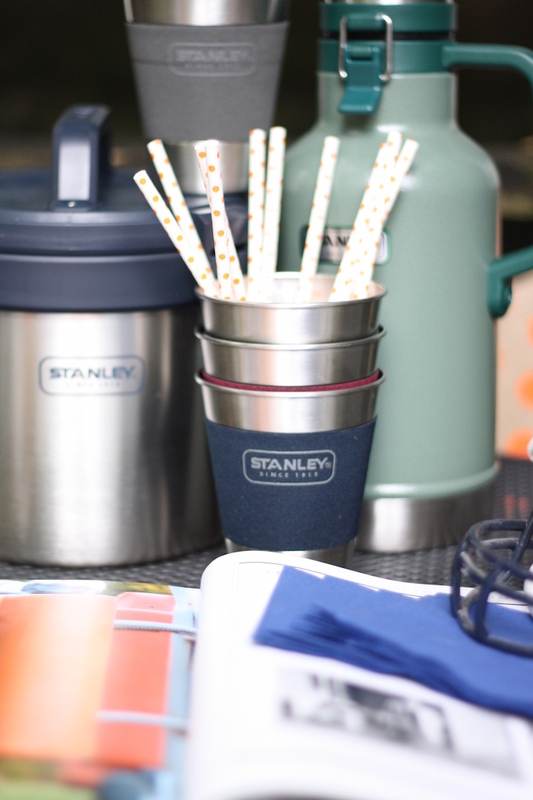 I'm stoked to take my new Stanley Brand products to the Ole Miss game at the end of October. 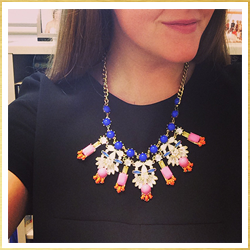 And until then, I'll be dreaming up all of the other possibilities for these Stanley goodies. Apple cider in the growler? Check. Meatballs in the crock? Done. Oh, and as an added bonus, I thought I'd share my favorite tailgate recipe that I think will fit just perfectly in the Stanley Brand Adventure Vacuum Crock: corn dip. Drain the corn and Rotel tomatoes and place in a microwave safe material. Add cream cheese and microwave for 30 seconds. Remove and stir to combine. Add cumin, garlic powder, and red pepper and heat until hot. Transfer from your container to the Stanley Brand Adventure Vacuum Crock and transport easily to your tailgate. Serve with corn chips of choice!